We have begun to assemble the clutch pack to the steering gear. 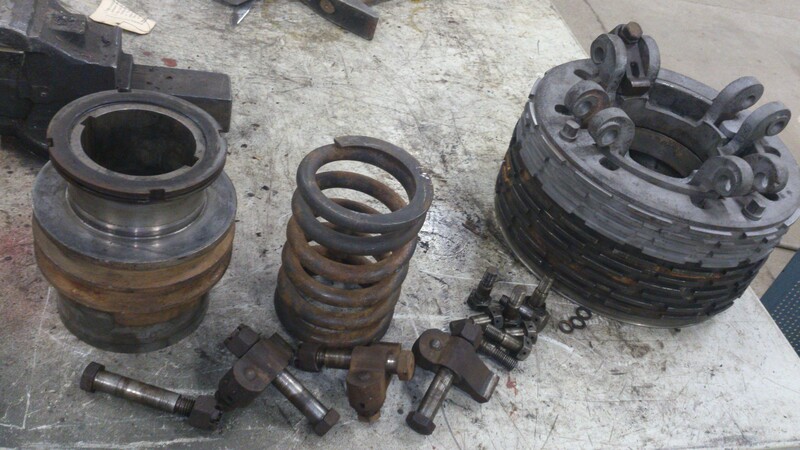 The package has been removed for inspection and cleaning, and now it is time to assemble it again. 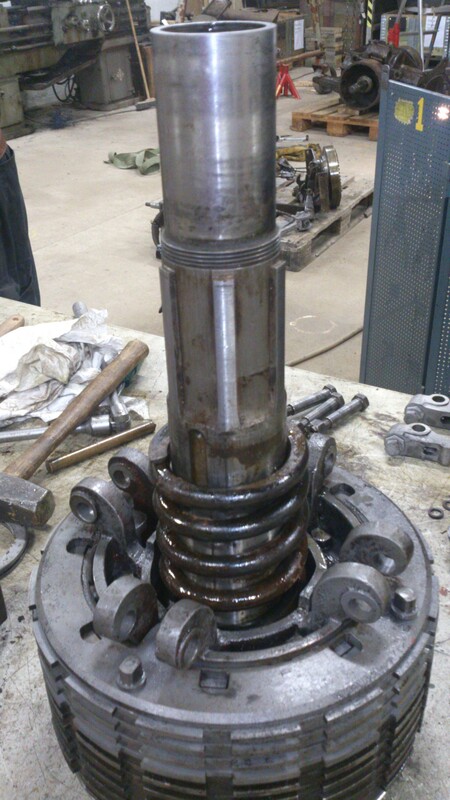 After supporting sleeve, spring, clutch release bearing and the fingers are in place, the package is ready for fitting to the steering rack. We have begun to dismantle the tracks which proved to be easier said than done. 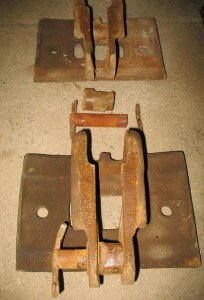 The ends of the track bolts are heavily worn and locking pins have rusted. 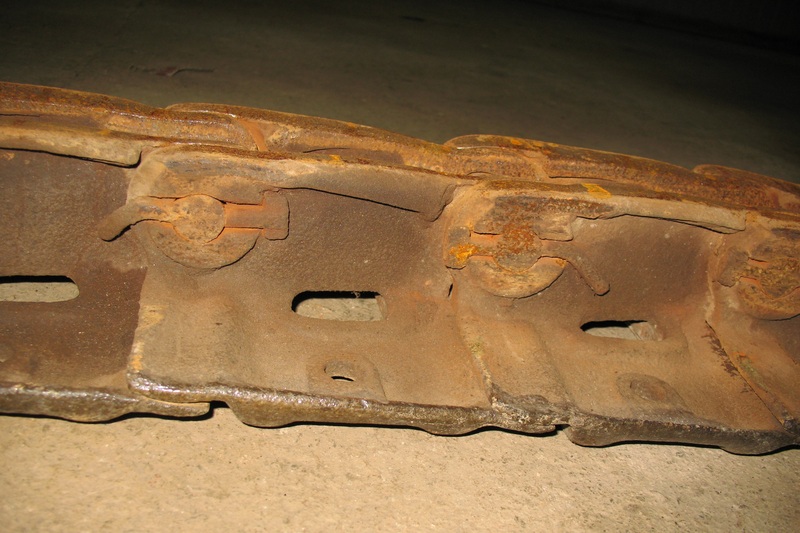 On each track plate sits a removable bushing and many of them are worn and needs replacing. 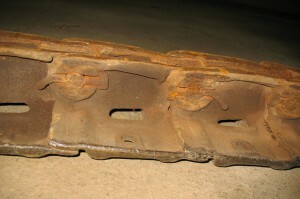 Of the track bolts are 95% in such condition that they need to be replaced.